All Tracy homes currently listed for sale in Tracy as of 04/23/2019 are shown below. You can change the search criteria at any time by pressing the 'Change Search' button below. "Don't miss this rare corner lot featured 4 bedrooms and 3 bathrooms, two story home on 2,880 sqft living space and 6000 sqft lot * Open floor plan is home to a spacious living room and formal dining room combo * Gourmet kitchen with breakfast counters, light maple cabinets, and recessed lighting fixtures * Separate family room connects to kitchen area and overlooking maintained garden perfect for entertaining * One bedroom and a full bath are located on the first floor and three remaining bedrooms on the second floor * Double vanity and oversized walk-in closet in master suite * Large bonus room upstairs (bonus room's not added to total living sqft) * Air conditioning, double pane windows, and 3-car tandem garage * Great commute location accessibility to schools, parks and main highways." "Rare big floor plan single house with living space 3123 sqft, 5 bedrooms, and 4.5 bathrooms. This two stories house features two master guest bedrooms at the first floor, bright kitchen leads you to the cozy family room with a fireplace. Upstairs features one master bedroom with bonus room/retreat that can be used as a office or kids room. Laundry room and two bedrooms are also upstairs. New carpet through the whole house, new vinyl flooring in kitchen, new marble kitchen counter top, and new interior paint. 5 minutes access to freeway 205, school, Costco, and Walmart. Make it your dream home!! 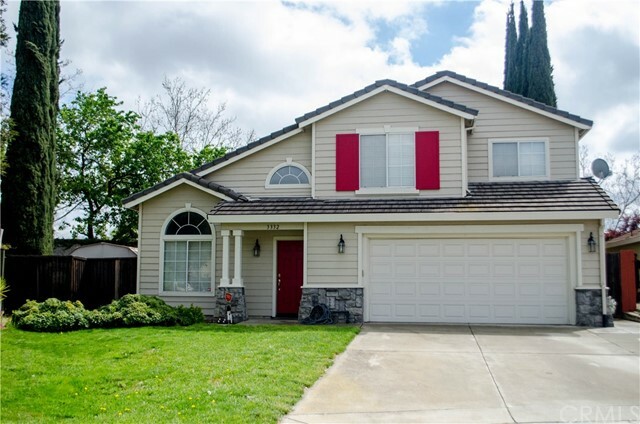 Open house: 4/27 Saturday 2:00pm-4:30pm"
"Warm and cozy family home located in the great location in Tracy. Very close to Tracy Sport Complex, freeway access. Very quiet family neighborhood, great schools. This home has 4 bedrooms and 2.5 bathrooms perfect for families. Great landscaped yard, lots of trees and with a built in BBQ. Move in ready." "Beautiful Home on a quiet court location. Walking Distance to Parks and School. RV / Boat parking on the side. Dog run low maintenance backyard." "As you drive into the cul-de-sac you can t help but notice this beautiful home framed-in by towering Italian Cypress trees. These trees require little to no maintenance and add to the aesthetic beauty, and privacy, to this well manicured corner lot with excellent curb appeal. Need more space, don t fret, you are within walking distance of Edgar Thomas Park and Monticello Elementary School. This 4 bedroom, and 3 bath, home leaves very little to be desired. It has an open floor plan with excellent entertainment features, such as a fireplace, for those chilly Holiday Evening family and friend gatherings. The new (1 year old) HVAC will insure that all are comfy. The 2 car garage wall is lined with built in storage shelving that enhances the utility without sacrificing the garage space. Oh, by the way, the washer, dryer, and kitchen appliances are included." "You would love to call this HOME or make it an INVESTMENT PROPERTY WITH POTENTIAL RENTAL INCOME. Look no further -- truly a wonderful opportunity to own this home located in the heart of TRACY California. The house is located on a huge corner lot and a short drive from the 205 Freeway entrance/exit at Tracy Blvd, and it is a 4.1 miles distance from the ACE Tracy Train Station which will give you easy access to the Bay Area. This rare and charming one story home has a huge front lawn and an archway main door entrance. It has 4 bedrooms, one is a master suite with a jack and jill bathroom sinks, and another bedroom has a wide double entry doors. Beautiful peninsular kitchen offers stainless sink, a gas stove and Kraftmade cabinets and drawers. Double-paned gas filled vinyl windows provide good insulation and lighting to the spacious living and dining rooms. The family room has a custom made minibar with own stainless sink, fireplace and a French door access to the yard. Entertaining is a breeze in the backyard equipped with a remote controlled Sunsetter. Storage and work room are not a problem with the huge Barn shed. Direct access to a 2 car garage from the separate laundry room. The relatively new A/C unit and the economic and green solar panels will save electricity in most of the year. Close to restaurants, stores and businesses but private enough to spend quiet days and evenings. A sure place that many cherished memories are to be made."